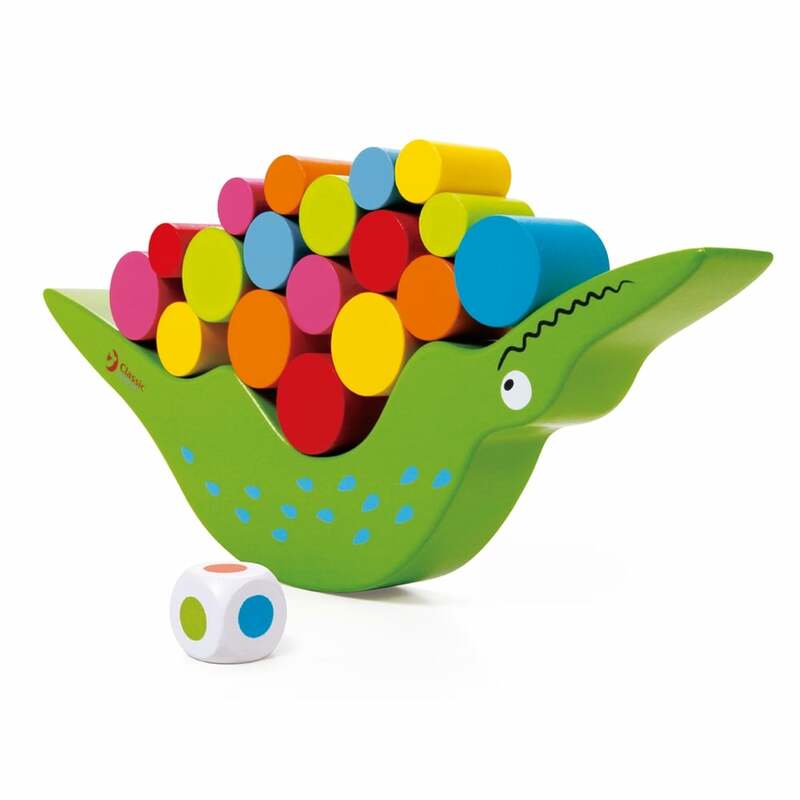 The Classic World Crocodile Balancing Game provides fun for all the family while helping your baby to learn and develop. Classic World Crocodile Balancing Game helps develop motor skills as well as teaching balance and colour recognition. Great fun and educational, Classic World Crocodile Balancing Game can be played by collecting the colourful cylinders and placing them on the crocodile or by rolling a dice to choose which colour must be placed on next.